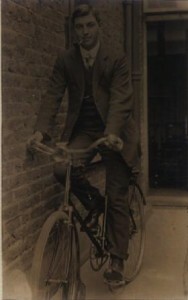 Private Edward Harry King was born and raised in Petworth, then moved to Croydon where he worked as an insurance clerk. Private Edward Harry King was the son of Harry (a painter who in 1911 was working on the Petworth estate) and Amy King. He had two brothers and one sister. 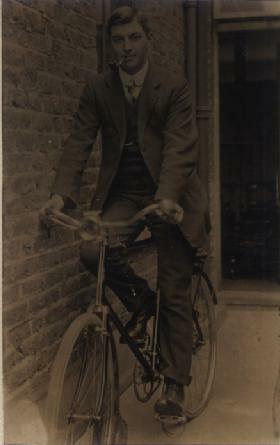 In 1911 Edward was an insurance clerk boarding in Norwich Road, Thornton Heath, Surrey. Edward married Jessie King in Purley on 22 August 1914 and they had one child. Edward enlisted in Croydon into the Royal Sussex Regiment. Edward was killed in action in Belgium and is buried at the White House Cemetery, St. Jean-Les-Ypres. He received the Victory and British medals and is also recorded on the Croydon war memorial. Jessie remarried in June 1920 to Ernest Barker and died in 1963.